A new release Escaravelho Records is coming to life! 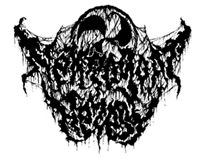 Fondlecorpse – “Dark Contagion” Tape version, limited to 50 copies. A massive beast of Horror Old School Death Metal! Pre-orders available here! Listen! New Azagatel on our bandcamp. Read More New Azagatel on our bandcamp. New EP from Azagatel, soon on NGH! Read More New EP from Azagatel, soon on NGH! Hagetisse – “Werg Devoot” Tape out now! Read More Hagetisse – “Werg Devoot” Tape out now! Youtube video for “Rebirth” from the new Colosso’s album! Read More Youtube video for “Rebirth” from the new Colosso’s album!